At least 12 people reportedly died in protests sparked by a sharp rise in fuel prices. President Mnangagwa's pledge that Zimbabwe is "open for business" rings hollow. With a recent surge to an annual inflation rate of 236%, protests have sparked. As long as Zimbabwe continues to produce... its own money, namely bond notes and RTGSs, it will continue to be held in a monetary death grip. Zimbabwe has inaugurated a president for the second time in nine months as recent jubilance over the fall of Robert Mugabe has been subdued by a bitterly disputed election. Zimbabwe's Constitutional Court confirmed President Emmerson Mnangagwa's disputed July 30 election victory on Friday, dismissing an opposition challenge that had held up his inauguration, which will... now be held on Sunday. 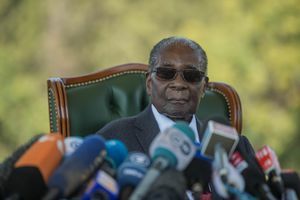 Zimbabwe's main opposition party on Friday was filing a legal challenge to the results of the country's first election without Robert Mugabe on the ballot. The six masked gunmen arrived in an unmarked pickup truck at a modest house in Highfield West, a suburb in Zimbabwe's capital Harare. The Opposition parties in Zimbabwe will be tried in court for instigating violence in Harare when the presidential elections declared Emmerson Mnangagawa as the winner The post Zimbabwe’s Opposition... appears in court over charges of violence in Harare; trial comes a day after Emmerson Mnangagwa wins elections appeared first on Firstpost. 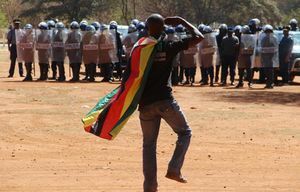 As Zimbabwe's president preaches democratic reform in a country emerging from decades of repression, the scenes of soldiers dispersing opposition protesters after a disputed election have cast a... shadow on promises of a new era. The Foreign Office says it is "deeply concerned" by outbreaks of violence in the wake of the controversial election in Zimbabwe. 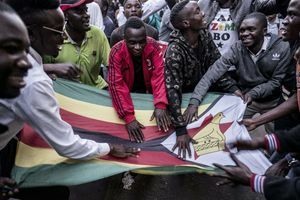 What started as a hopeful moment, the historic democratic election in Zimbabwe turned violent in Harare Wednesday where protesters clashed as the country waits for the official result from Monday's... presidential vote. "[A]utomatic gun fire was heard as police and the army attempted to disperse protesters. Tear gas and a water cannon were also used as protesters fled the scene," CNN reported Wednesday. "Burning tires could be seen on the roadside while armored vehicles patrolled the streets and a police helicopter flew above the protesters." 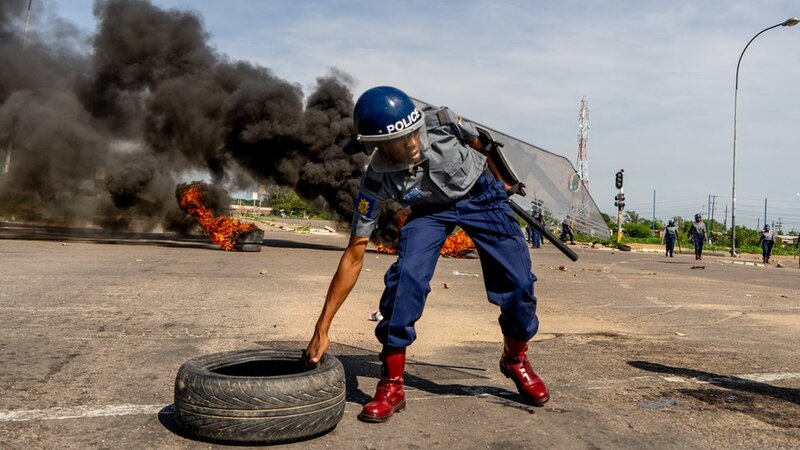 The military was deployed to the capital city to help police maintain order, the government said, and fired on the angry crowds, killing at least three. The UN and former colonial power the UK call for calm amid a post-election government crackdown. 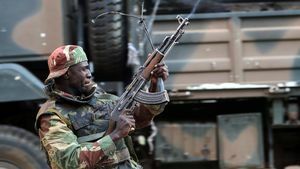 Automatic gunfire crackled in the streets of Zimbabwe's capital on Wednesday as soldiers stepped in to disperse protesters who clashed with police after the main opposition leader accused the ruling... party of trying to rig the country's election. 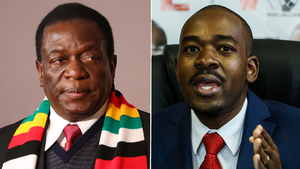 Zimbabwe's election, the first since the removal of Robert Mugabe in a de facto coup last year, has in some cases been "very smooth", in others "totally disorganized", the European Union chief... observer said on Monday, with voting still under way. For the first time since independence, long-time President Robert Mugabe is not on the ballot. Zimbabwe is offering to land leases to commercial farmers in an effort to restart an agricultural industry decimated by Mugabe-era land invasions. 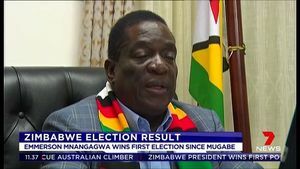 President Emmerson Mnangagwa says country will hold vote within four to five months.